All I really want is food. Food to fill my belly. Food to fill my tent. I was definitely looking forward to getting to the store and restaurant at Kennedy Meadows north where I could get more food… However, between me and the imagined delights of fresh food at Kennedy Meadows Resort there were two major milestones: the 1000 mile mark and Sonora Pass. 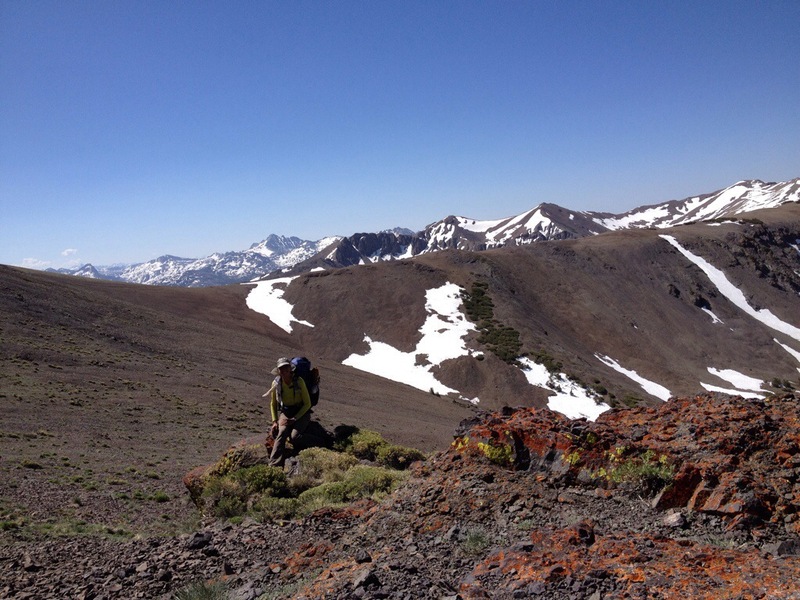 Though I was done with the high passes of the Sierra, I’d been warned that Sonora Pass was a hard climb and that there was still plenty of snow up there. I can’t say that I was really looking forward to the snow, I’d already done enough postholing for one lifetime, but at least it would cut down on the mosquitoes. The pass would get me up and out of the meadows, which I’d learned were really just mosquito swamps (the mosquitoes between Tuolomme Meadows and Dorothy Lake Pass were impressively tenacious and seemed to be undeterred by clothing or even 100% DEET). 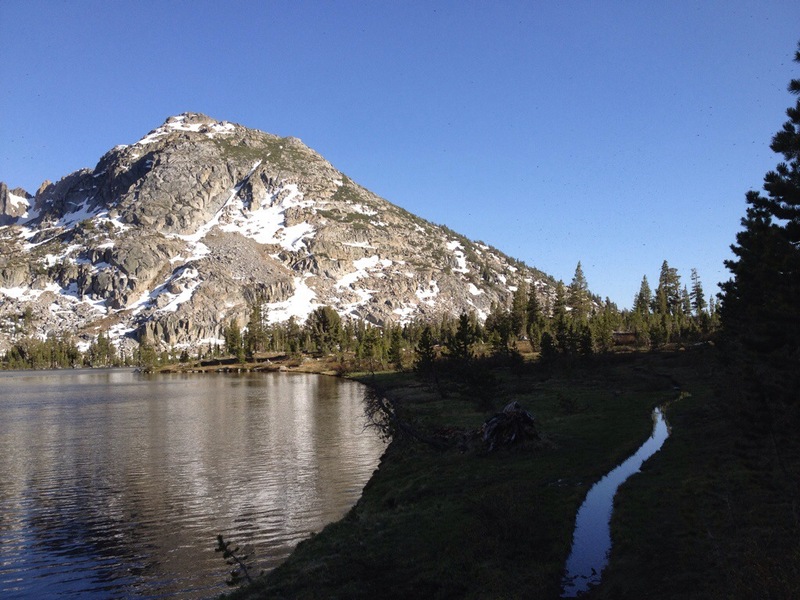 The hike up Sonora Pass went over 10,000 feet and I definitely needed to use my inhaler, but the snow wasn’t too bad and the trail was graded really nicely… It went much better than I’d anticipated. Hiking along the ridge was spectacularly gorgeous and I was having a very good day. The hard part of the day’s hike was over and there were only three miles of trail left between me and the road to Kennedy Meadows Resort!!! Sure I was going to have to hitch a ride the 10 miles to the resort, but I was almost there! As I rounded the corner and prepared for the final descent my heart dropped… This is where the plenty of snow was hidden… There were ice chutes and snow fields galore… I’d been lured into a false sense of security… This was the hard part, the part where I was going to have to pay close attention to every step… I should have known better, I did know better, the north side of a mountain… Above 10,000 feet… There was going to be snow. 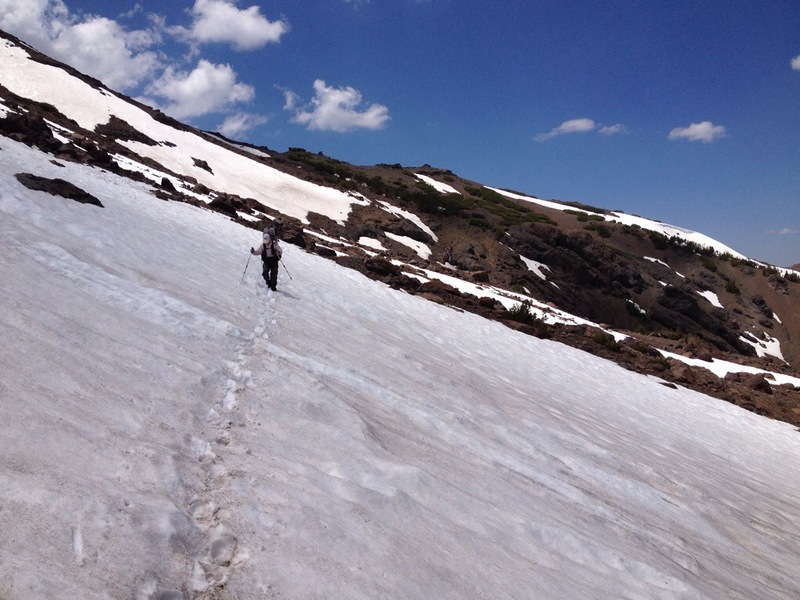 As I slowly made my way through the snow I got crankier and crankier… The trail seemed to go out of its way to make sure that we crossed every snow chute not once, not twice, but at least three times as the trail meandered it’s way towards the road. I kept looking for a shorter, more direct route to the road, perhaps a glissade? 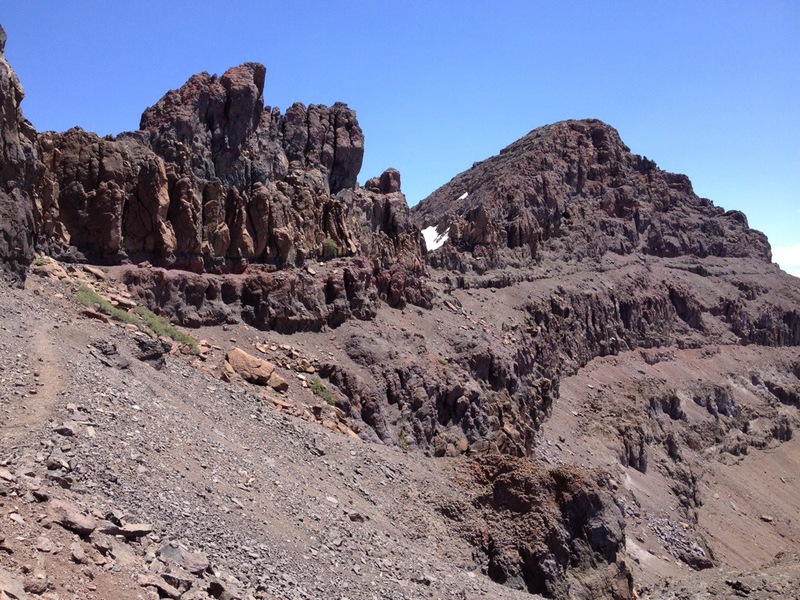 But it didn’t quite look like it connected up and it wasn’t terrain that I was familiar with so I kept plodding along the PCT… No shortcuts for me. “Good luck catching a ride down there,” said one of the thru-hikers (rather smugly) as he passed me. He already waiting for him at the road. I almost decked him. As if worrying about the snow wasn’t enough, I was going to have to figure out a ride and hitch-hike by myself. Not my favorite thing to do. When I finally made it to the road I discovered that I wasn’t going to hitch by myself… There were four people already down there trying to hitch… The bad news was that there were now five of us (a hard number to hitch with) and they’d already been out there for an hour. “Are you homeless refugees from Campo?” After trying to hitch for 30 minutes a car finally had pulled over and this was the question he put to us. “Yes,” we replied hopefully. He was smiling at us even though his affect seemed a little flat… I was willing to bet that he was a New Englander with a dry sense of humor. 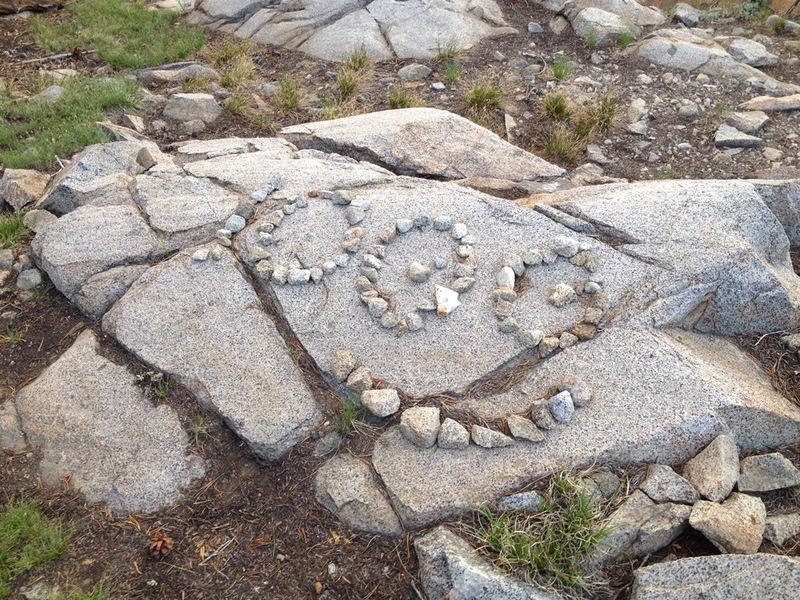 He clearly knew that we were PCT thru-hikers. “I’m here to do trail magic!” He cheerfully explained. “Come on up to the picnic area and I’ll meet you up there.” Trail magic can encompass a large range of things, was it worth giving up on hitching and going to check it out? To be honest, I wasn’t 100% sure. I was still tired, hungry, and cranky. The tired and the cranky were probably both related to the hungry. As I thought about food, my decision was clear. I was going to walk up to the picnic area to check out the trail magic. It might just be a soda or an apple, but it was probably going to be food and I was hungry… Soo hungry… I just couldn’t carry enough food with me. I took one last glance back at the road, and headed up the hill towards the picnic area. “Besides,” I told myself, “we hadn’t been having much luck hitching anyway.” I’d figure out how to get to Kennedy Meadows resort later. By the time we got up to the picnic area he’d put out a tablecloth and was starting to unload things from his car. “Would you like a beer or a coke?” He asked as he pulled a cold beverage out of the cooler for each of us and invited us to sit down. He then brought out a whole grocery stores worth of fresh fruit: strawberries, cherries, plums, and nectarines… They looked absolutely delicious!!!! (Fresh fruit is a rare treat for thru-hikers). He then added 2 dozen cookies and whipped cream to the table. Whipped cream!!!! Whipped cream!!! I hadn’t had whipped cream since sometime before I got on the trail… Mmmmm… Whipped cream. “Welcome to the Sonora Pass Cafe! !” He exclaimed as he put whipped cream on a chocolate chip cookie, topped it with a cherry, and handed it to me. “Wow, just wow,” I said as I hungrily took the cookie and gobbled it down. “The cafe is just open 2 or 3 days a year and it doesn’t make much money, but it does make lots of people happy. Enjoy and take as much as you’d like. Somehow I’d managed to get the inaugural cookie at the 2014 Sonora Pass Cafe, my day was definitely looking up. 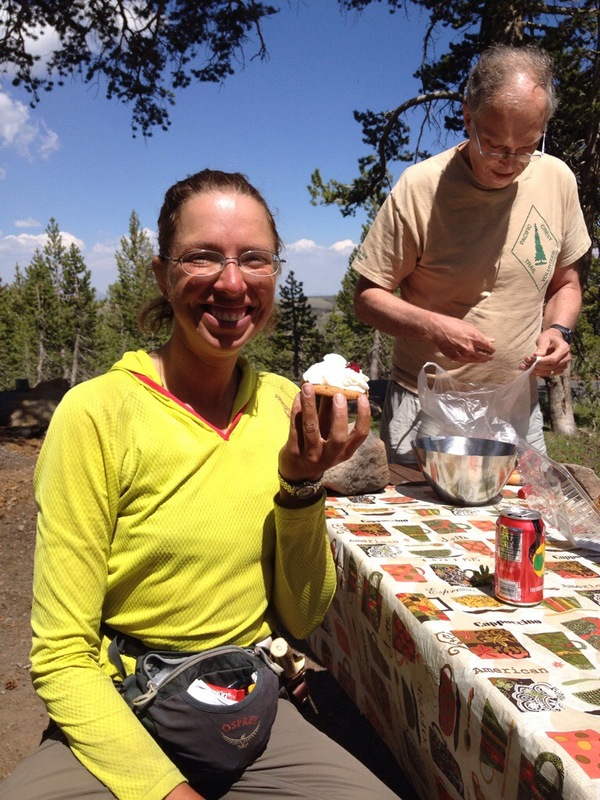 As we chatted with our trail angel I had another whipped cream and cherry covered cookie… It was sooo good! 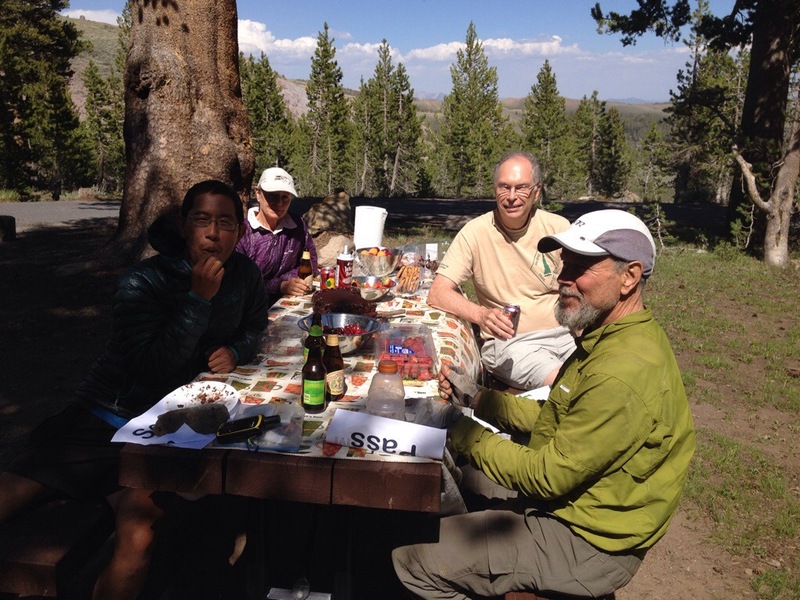 Each year for the last 10 years he’s come up to Sonora Pass to do trail magic for the thru-hikers. As we sat there marveling at the Sonora Pass Cafe, he brought out another surprise, an enormous chocolate cake! He cut a giant slice of cake for each of us and covered it with whipped cream! It seemed to good to be true, a mirage perhaps? But no, it was yet another person out there making magic happen for the thru-hikers! It was completely unexpected and awesome! Not only that, as I sat there, belly full for the first time in a long time, a car pulled up and asked me if I needed a ride… I’d hit the trail angel jackpot! 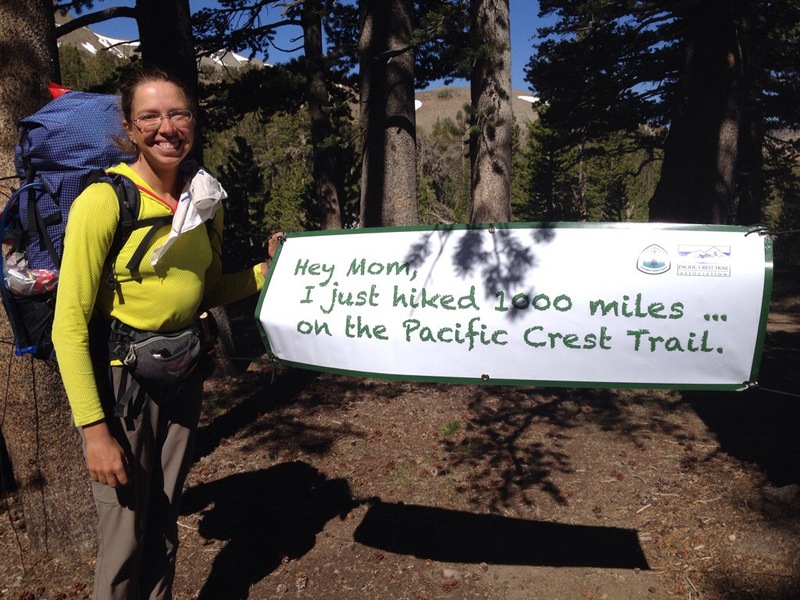 This entry was posted in Pacific Crest Trail and tagged kennedy meadows resort, sonora pass cafe, trail magic. Bookmark the permalink.